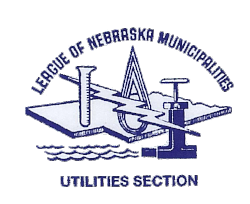 The Nebraska Meter Conference is sponsored annually by the League of Nebraska Municipalities Utilities Section in cooperation with the Nebraska Rural Electric Association. This year's conference features major manufacturers and local area electrical representatives. The school will consist of concurrent sessions for 1 1/2 days. The presentations will highlight software technologies, installation procedures, safety practices, billing and related smart metering capabilities. Both days will feature meter manufacturers and regional company electric representatives to provide a well-rounded educational school no matter what electric meter or software package your municipality or rural public power district uses. The Nebraska Meter Conference is for all electric meter and line worker/technicians who are dedicated to the metering industry and electric industry who would like to further their knowledge to keep in stride with the rapidly changing technology that is challenging both apprentice and expert technicians. Participants are encouraged to preregister by no later than Feb. 7, 2019. Registration also will be available at the door on Feb. 12 between 8 and 9 am. The classes will be held from 9 am – 3 pm on Tuesday and 9 am –1:15 pm on Wednesday. Cost for Utilities Section members to attend this 1 1/2-day course is $240 and $315 for non-members. This includes one breakfast buffet, two lunches, and all learning materials.